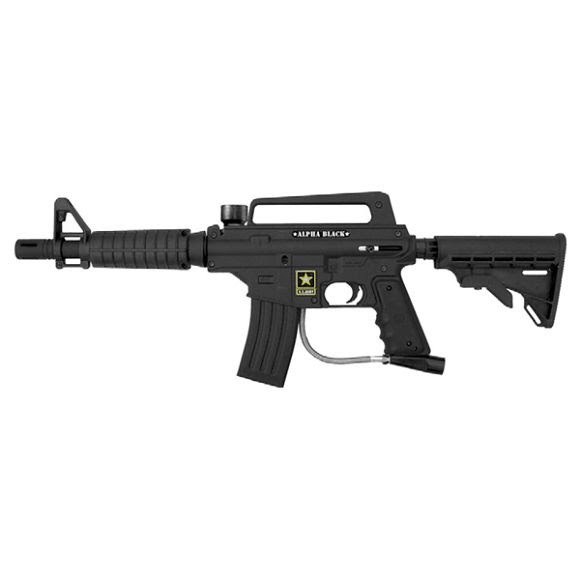 The Tippmann Alpha Black Tactical Marker includes an M16 style six position collapsible stock and an M16 style shroud with built-in site. The marker features a realistic military appearance and comes with a high performance 11 inch barrel, an intergrated carry handle and a removable magazine that doubles as a tool kit. Hopper sold separately.